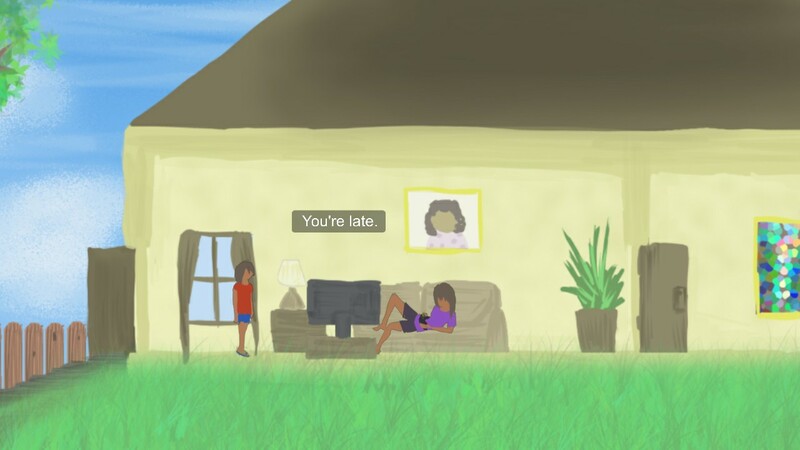 Alana is a 3 minute long animated interactive narrative made in Unity. I created it over the course of 2 weeks for an assignment in my first year at USC's IMGD masters program. Depending on what the player wants to see, either Alana is talking to her sister or to her pimp. There are 2 parallel narratives running simultaneously, both focusing on women named Alana. 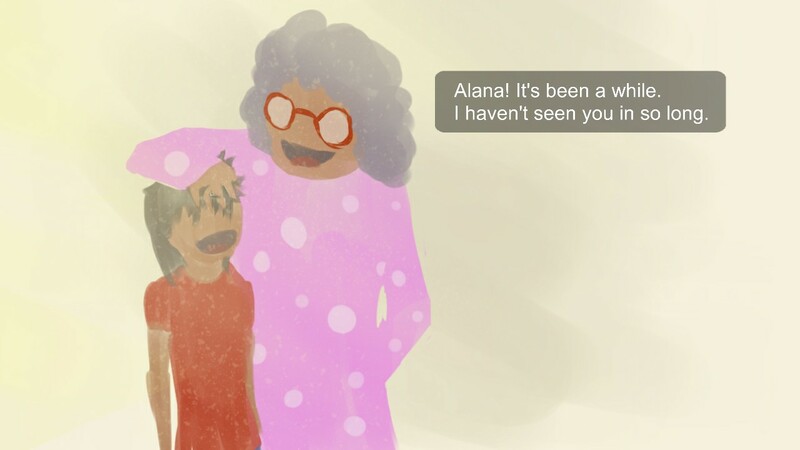 In one story, Alana is going over to her grandma's house to bake cookies. In another, she is a prostitute doing her job. Despite both narratives having the same dialogue with the same timing, the atmospheres and tones are completely different. 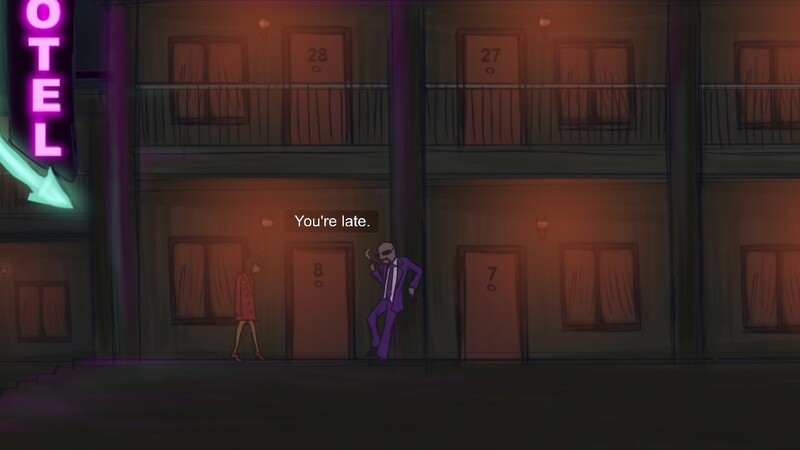 The player's only means of interaction is clicking to switch between which one he wants to watch at any given time. The piece deals with prostitution and contains graphic imageries. I want to investigate how we hide what we do not want to see; if players do not want to watch a story that deals with harsh topics, they can turn a blind eye on it by watching a happy story instead. This is reinforced by leaving whether the two Alanas are the same person ambiguous; players who do not want to see the story about prostitution tend to want the innocent girl who baked cookies with her grandma to not be the same person as the prostitute in the other narrative. Finally, I want to make a statement about the ugliness of domestic prostitution. 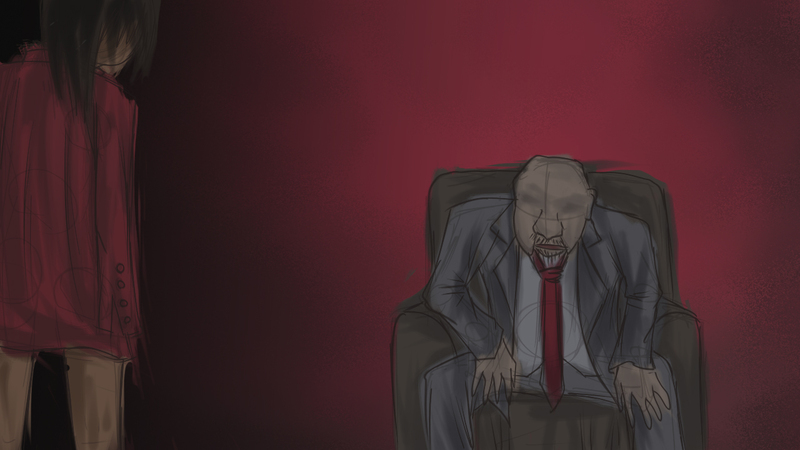 I chose a different art style for each narrative to reinforce the differences between them. I learned about the power of ambiguity. By leaving details vague, players fill the gaps in the narrative in their own heads to reach different conclusions. I also learned about how minimizing interactions can lead to powerful emotional experiences. Finally, by doing my research on domestic prostitution, I learned to create works that do not misrepresent a serious topic.